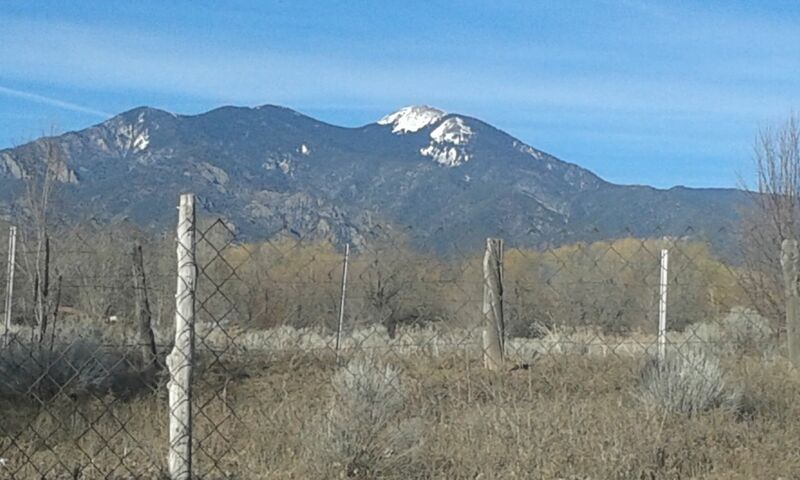 I love these mountains in Taos County, NM. Most fulltime rubber tramps know that going up in elevation is the key to cool comfort in the heat of the summer. For every rise of 1,000 feet in altitude, the temperature falls about 3.6 degrees. If, like me, you grew up a flatlander, you may not know the tricks to staying happy above sea level. You want to go up the mountain, but you may be a bit cautious about doing so. After spending the better part of the last five summers above 6,000 feet, I know a thing or two about mountain living, at least during the spring and summer months. Today I’ll share my tips for managing in the mountains. #1 Know that altitude sickness is a real possibility. I’ve been very fortunate; I’ve never suffered one bit of altitude sickness, but some people get it bad. acute mountain sickness (AMS), is the most common type of altitude sickness. It can occur at elevations as low as 5,000 feet, where it is likely to last only a day or so, but is more common above 8,000 feet. At elevations over 10,000 feet, three out of four people will have symptoms. The article also lists some precautions to you can take to acclimate to higher elevations. Eat foods that are high in carbohydrates. Get headache relief. Acetaminophen or an NSAID (such as ibuprofen) can be taken for headache. Don’t go up until symptoms go down. If you start showing symptoms of moderate altitude sickness, don’t go any higher until they decrease—or descend a few hundred feet to a lower altitude. I suggest you read this entire article and familiarize yourself with the symptoms of and remedies for altitude sickness before you start your ascent. Fall may come to the mountains before you expect it. It was never long after Labor Day on the mountain where I worked that I found myself sleeping under my down comforter and wearing a jacket the first few hours of every morning. You may want a decrease in elevation before the official beginning of autumn. #3 The weather can change quickly in the mountains, so be prepared with appropriate gear. If you store your winter gear away from your rig, but sure to pack a warm hat, warm socks, and decent jacket before you go up the mountain, even in the heart of summer. Take sturdy shoes to protect your feet if the weather turns cold and/or wet. If you have room, it’s not a bad idea to pack your Mr. Buddy heater too. At the Rio Grande Gorge outside of Taos, NM (elevation 6, 969 feet) I’ve literally seen the weather change from sunny and hot to cloudy with lightning and thunder to rain and hail to rainbows and sunshine, all accompanied by a temperature drop of 20 degrees in less than an hour. Of course, these are not usual weather conditions, but proof that such changes can happen fast. I seldom got my speedometer above 25 mph on this curvy California mountain road. #4 Get yourself a good paper map. Don’t depend on GPS or your vehicle’s navigation system which can be entirely useless in remote, high elevation locations. If you get your directions online, be sure you can access then if you lose phone service. Your best bet is mapping out your route on your paper map before heading up. #5 You might not have cell phone service either. Be prepared to live without cell phone service. Make all your calls and send texts before you start heading up the mountain. Warn anyone who might worry about you that you might not have cell phone service for a while. 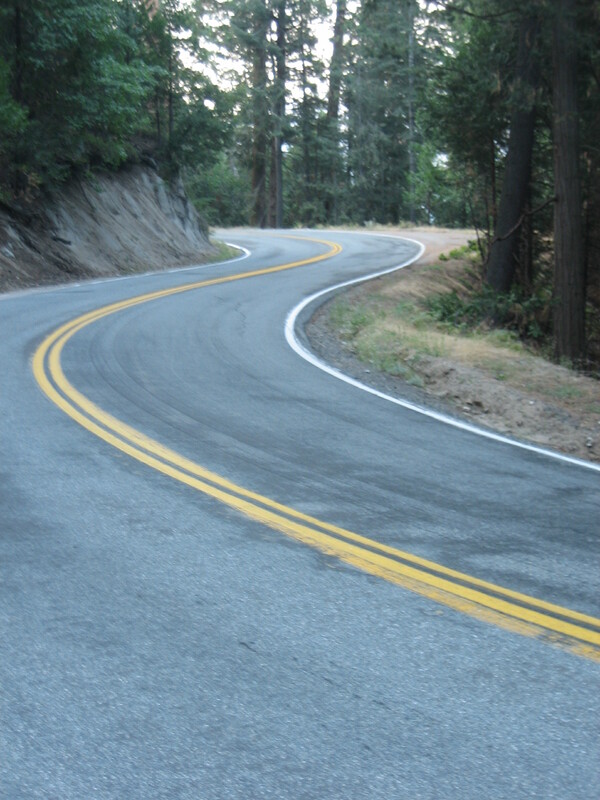 #6 If you’re not accustomed to driving on winding, curving, twisting, mountain roads, plan to drive slowly. It takes a lot longer to drive a mountain mile than it takes to drive a mile on a flat stretch of road. The first summer I worked as a camp host, I picked up my mail 25 miles from the campground where I lived. Google Maps said it would take me 45 minutes to drive there, but it took me at least an hour. 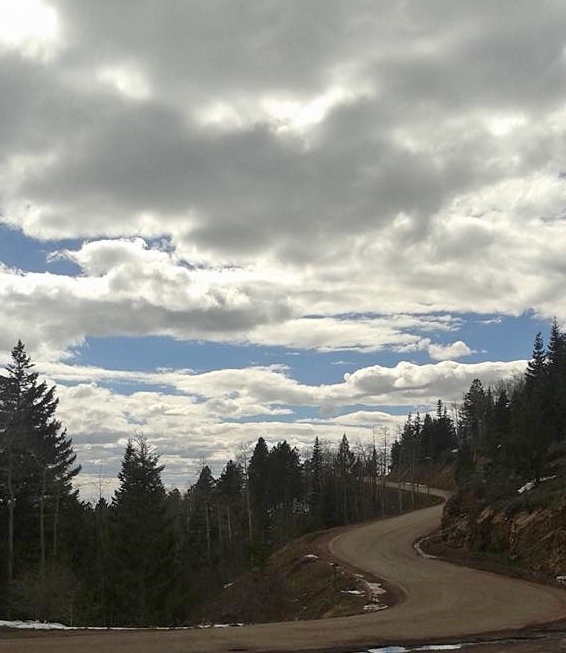 This road outside Santa Fe, NM takes folks up up up the mountain. #7 If you look in your review mirror and see a line of cars and trucks behind you, pull off in the next turn out and let the other vehicles pass. Folks accustomed to driving in the mountains may be able to drive on those roads faster than you can. That’s ok, but save the people behind you lots of frustration by letting them leave you in the dust. #8 Be aware of bears. While you don’t want to succumb to bearanoia, if you’re boondocking in areas bears are known to frequent, you should take precautions so you don’t attract them to your camp. In the book Bear Aware, author Bill Schneider offers an entire chapter detailing camping in bear country. The most important tip is to check potential campsites for signs of bears before you set up camp. If you can see fresh sign [of bears] move on to another site with no signs of bear activity. The second most important tip is to separate your sleeping and cooking areas. The sleeping area and the cooking area must be separated by at least 100 yards. Also, be prepared to “hang everything that has any food smell” or store those items in bear canisters. If you’re unsure if the area where you want to boondock has issues with bears, visit the local ranger station to find out about bear activity before you choose your camping spot. Seem as large as possible. Again, I recommend you read the entire article before you need the information. Where I worked in the mountains, we were more likely to see a timber rattler than a bear. To prevent a nasty bite (and a trip to an emergency room that may be more than an hour away), watch where you put your hands and feet. Don’t put any body part in a crack or crevice or under anything without first visually inspecting the area. If you see any snake, give it a wide berth so it can escape without feeling like it has to go on the defensive. For more information on how to avoid a snakebite or what to do if a rattlesnake does strike you, see this article from Denver Health. 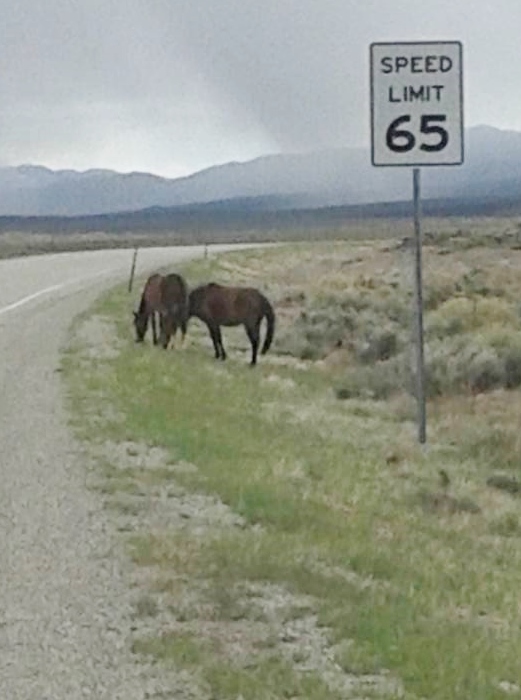 The Man and I saw these wild horses just off the highway in Colorado at about 8,000 feet. The part of the National Forest where I worked is open range, so people driving there have to watch for half wild mountain cows. I don’t know how common open range is in other mountain locations, but city folks are often quite surprised when they see cows on the road on their way up the mountain. If you see cows on a mountain road you’re driving on, slow down and give them plenty of room; sometimes cows bolt when they get nervous. The same holds true for wild horses, deer, elk, and moose, so be alert for large animals hanging out along mountain roads. #10 Stock up on food, supplies, and fuel for your rig before you head up the mountain. Many mountain towns are secluded, and may not have the supplies you need. On the mountain where I worked, there was no diesel, none of the special fuel tiny backpacking stoves require, and no fresh vegetables for nearly 40 miles. If you are able to find what you’re looking for, you are going to pay a premium for items that had to be trucked up thousands of feet. In mountain towns, I’ve paid too much for ice ($4 for a seven pound bag), one-pound propane canisters ($6.95 for what costs under $4 bucks at most any Wal-Mart), and water ($3-$4 a gallon). You’re better off getting everything you need while you’re still in civilization. There’s no way to imagine or prepare for every situation one might find oneself in while at a high altitude. In life we run into situations that could lead to harm, whether we’re in the city or the wilderness. I hope these tips help you plan for your health and safety when you leave the flatlands and venture up to higher elevations. Remember, Blaize Sun can’t prepare you for or protect you from every danger you might encounter in the mountains. You are responsible for our own self. Research the problems you might encounter in the area you plan to camp in before you get there. If applicable, call the Forest Service ranger station responsible for the place you want to camp and ask about hazards in the area. Think before you act. If something you’re about to do seems potentially dangerous, don’t do it!